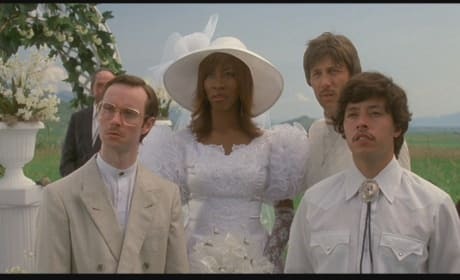 The Napoleon Dynamite wedding scene. 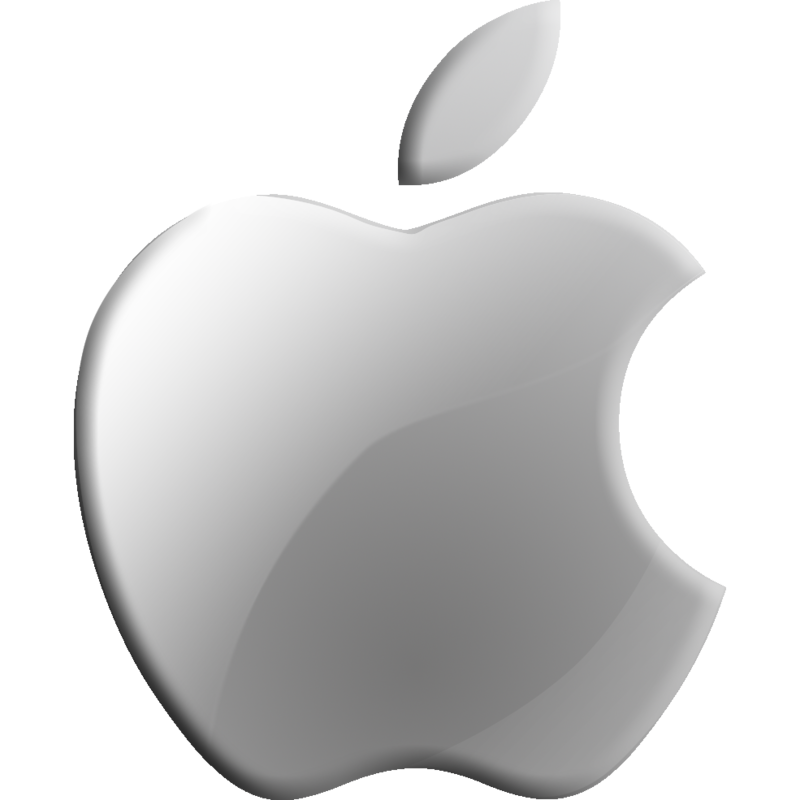 That's Shondrella Avery's real family! 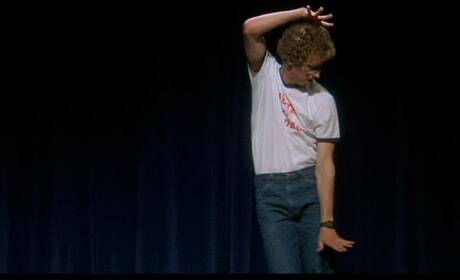 The Napoleon Dynamite dance sequence. Jon Heder is Napoleon. 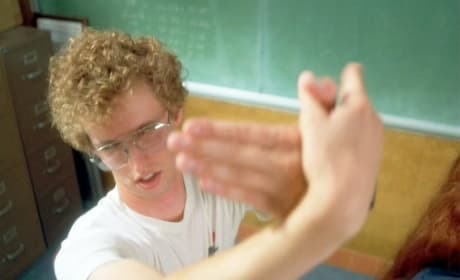 Napoleon Dynamite sign language club. Jon Heder is Napoleon. A gif from Napoleon Dynamite. Jon Heder says it's the most popular quote from the movie. 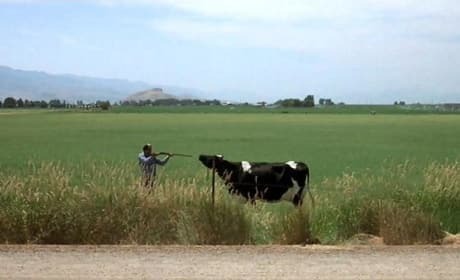 The cow from Napoleon Dynamite. It does not fare so well. Pedro's bike from Napoleon Dynamite. 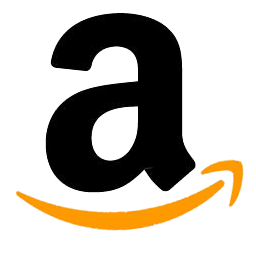 It's a Sledgehammer! The time machine from Napoleon Dynamite. 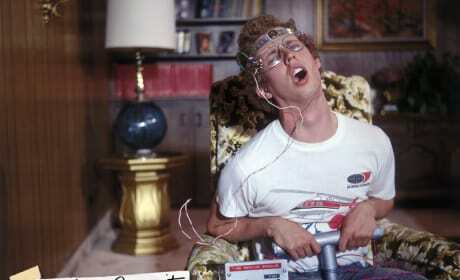 Jon Heder is Napoleon. 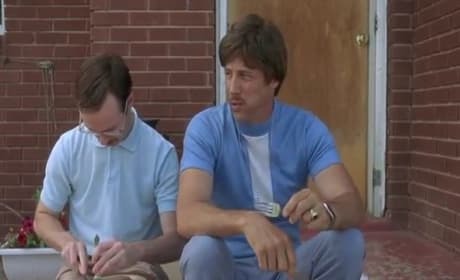 Jon Gries in Napoleon Dynamite. He plays Uncle Rico. Tina the Llama from Napoleon Dynamite. That's Jon Heder feeding her as the title character. 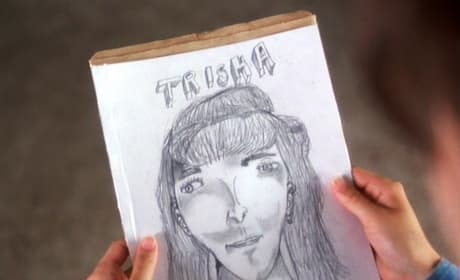 The "Trisha" drawing from Napoleon Dynamite. Jon Heder really drew this! 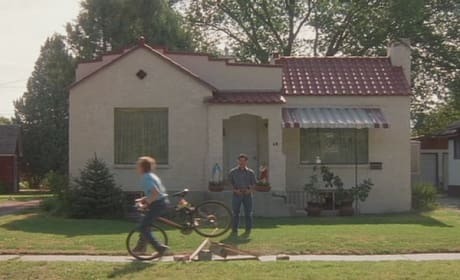 The Napoleon Dynamite House. It's where Jon Heder and company filmed the classic. Napoleon Dynamite strikes a pose. Jon Heder is Dynamite!